Great to se and our other coaches talk about spring. Thanks, Freak! Very impressed by the staff CJP has assembled, & listening to Coaches Ansley & Martin is most encouraging. Both of these guys are so impressive. Great to have Tee home and Ansley might be the next hot coaching commodity. Hope we can keep them both for a while. 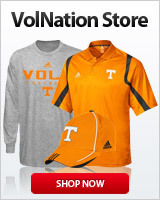 The Vols now have a coaching staff that is equal to any in the country. I liked the answer Ansley gave about why he chose TENNESSEE. Makes me wonder how many of the "rumors/reports" of coaches not liking Pruitt or not being able to get along with him were exaggerated or just made up. Probably all of them were made up by Mark Richt. I don't know and I don't remember exactly what all was said, but I wasn't really concerned when we were talking about here. It seemed like it was just some butthurt going around, by coaches and fans. Anyway, I wasn't concerned then and this just further confirms it for me. I agree with those who really like this staff and think its impressive. Some significant improvement and a couple more wins this year will go a long way with my confidence. I’d hate to be BYU coming into Neyland stadium. It’s going to be ugly. that's what i'm talking about. those are two really good young coaches right there. and i really hate what i'm about to say because i hate getting ahead of myself, but i can see either one of those guys being a head coach. and i could easily see Tee being one here. it hit me watching that he is really one of our own...one of us.....like how he described how it felt to come back in this role vs. a student/player...i would imagine would be similar to how probably any of us would feel as well........just cool. I seriously hope y'all are right! Yeah, Im not saying anything about gut feeling or anything, only that it is a possibility that this is the beginning of something special. Really hope so. We deserve it. If not, I'll accept really good. I know we're not supposed to talk about it because it worries some of our fans that we might be setting ourselves up for major disappointment, but wouldn't it be awesome?! I also know that there are some people that don't like the fact that he's a "bammer" and that he's inexperienced as a HC. I couldn't care less about him being a bammer and its not a big deal and even silly to some, but if he is successful, it will be cool to me that he's never been a Head coach anywhere else, not a "hand me down". Lulz, I know how silly that is, but I'm fine with it. nah...those intangible things are what makes things special when they go the right way. one of the reasons this basketball team for the past two years is so well appreciated. they were winners, big time...and they hit allt he right notes on the "warm fuzzy" stuff too. put the two together, and that's just cool. set up for disappointment you say? i say, i think we've had that covered for the past decade. no reason to be scared of it now. all gas...no brakes. Sarcasm meter broke? Lulz, I'm at mach 6 with no way to slow and my finger on the eject button. no, the meter is working...was agreeing with you...context i guess a bit fuzzy on my part. Agree, he’s assembled as good a staff as I could’ve ever imagined. And if Tennessee football can’t get back to winning at a high level, challenging for championships in short order, then I’m certain it’s never gonna happen. It’s now or never, the next 2-3 years, for this program imho. Yeah let’s rack this comment for after the game and see what happens. I don’t think anyone on our schedule fears the Vols. We will see. Richt fell on a helmet. Yeah, I forgot who they were but I'm sure we won't see any of them again... until the first loss.